As a Harry Potter fan it seemed a must this summer to celebrate the premier of the last movie in the series with a cocktail named after one of the major characters. Backyard Bartender have been quite busy with the shaker and the barspoon. I have to admit what sold me one the Neville Longbottom was the Earl Gray infused gin, but he has been a favorite from the beginning. Also in my opinion the reason for the great success of the Potter universe is that there are so many different heros - most of us can find more than one to identify with. 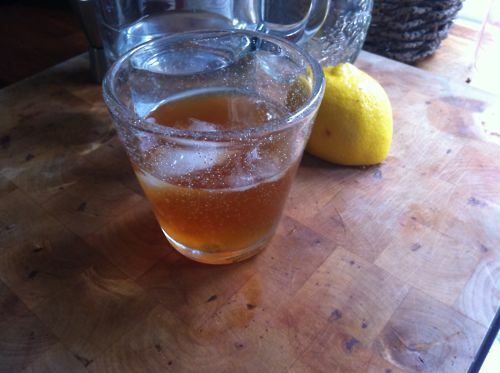 I started by infusing the gin by putting one table spoon good, loose Earl Gray tea in a clean jar and then add 20 cl gin. I then put the lid on, shook the whole thing and sat it in the sun for a least an hour. The gin turned a lovely dark tea color and smelled divine, I strained it as I used it. Everything in a shaker with plenty of ice (the gin was quite warm after an hour in the sun). Shake and then strained into low ball glass over new ice. Dark and Story is the national drink in Bermuda and a very nice mixture of ginger beer and black rum. 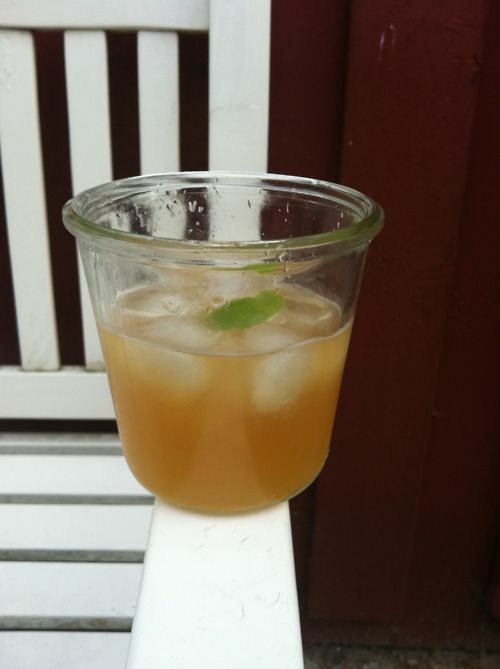 If you get a taste for it, Jeffrey Morgenthaler has an easy recipe for making your own ginger beer, which is fun to try and impresses guests. If you buy it, I personally like Old Jamaica Ginger Beer - it's more spicy than the other kind available here which is Fever Tree. Stir with ice in a not too fancy but comfortable glass - you are not in a cocktail bar you a sitting on the beach in a tropical paradise somewhere ;) Garnish with sprig of mint. Lucien Gaudin was a French Olympic fencer who won gold medals in 1928. That makes it a little hard to believe this cocktail is an American invention. How a champion from a little know sport, who won medals well before electronic media could make world stars out of anybody is hard to understand. And perhaps more importantly how did the inventor come by Campari, dry vermouth and Cointreau during prohibition? Anyway it's a damn fine cocktail and without it even fewer people would know who Gaudin was - he commited suicide in 1934. Fill a mixing glass with ice and add all the ingredients, stir and strain into small martini glass. A summer cocktail I came up with when I couldn't eat any more watermelon and still had half a melon to find good uses for. I named it in honor of a guy I know who was fascinated by a comic strip in the Danish Donald Duck magazine where Donald's nephews get to share a water melon and put on rain coats before they dug in. For a small Danish boy having never seen much less eaten a watermelon that was a very intriguing concept. Start by making the cordial: Blend half a small water melon and double strain into a pitcher, then add about 1 cl maple syrup and the juice of 1/2-1 lime depending on how you like the sweet-sour balance. Cool the cordial. 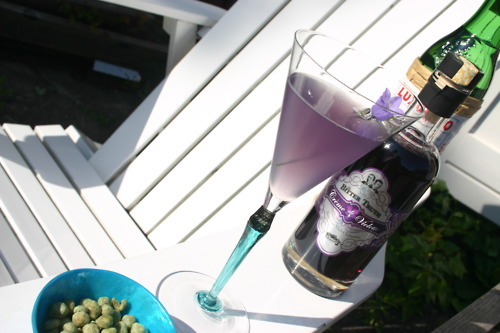 In the bottom of a high ball glass muddle the flowers of 2 sprigs of lavender with the sugar and grapefruit juice. Add ice and the vodka and the Campari, stir to chill and then top off with the cold water melon cordial. 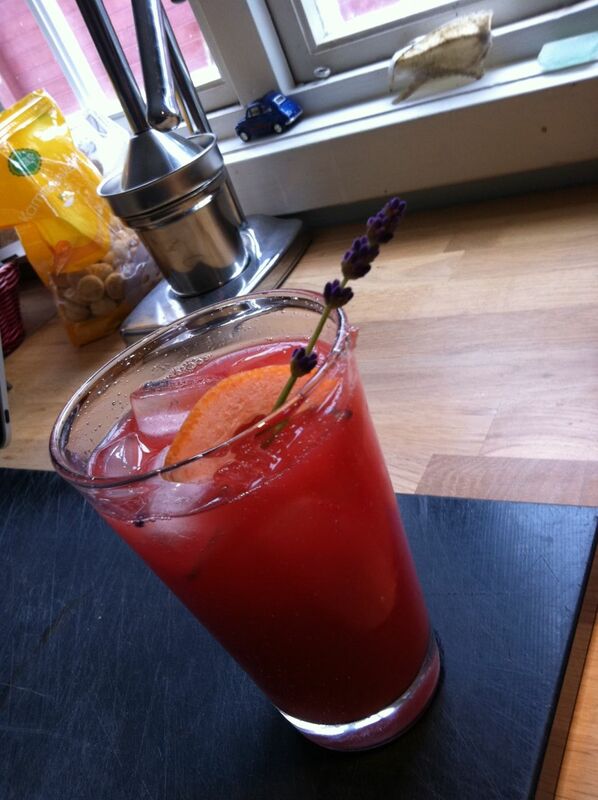 Garnish with the last sprig of lavender pushed through a wedge of grapefruit. The taste of Art Deco in a cocktail glass, that is how cocktail archaeologist Ted Haigh describes the 20th Century Cocktail. 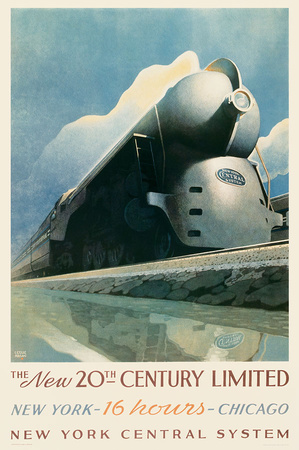 It's named after the iconic train between New York and Chicago called the 20th Century Limited. In 1938 the trains on that line was streamlined into absolute glory. Also it was for this train service that the Pullman company invented the red carpet treatment of the passengers. The train plays a minor part in Alfred Hitchcocks North by Northwest - where the style of the train, of Cary Grant and of Eva Marie Saint comes together. 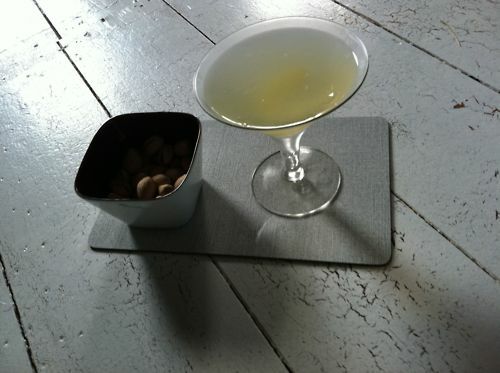 Also you would notice how small martinis were back in the real Mad Men days - it's worth renting. Shake everything with ice, strain into martini glass and garnish with a lemon twist. Once you have tried a Negroni, Sbagliato is the next cocktail to conquer. According to Campari lore it was accidentally invented in a bar in Milan, when a bartender mistook a bottle of dry italian sparkling wine for gin . I'm not sure I understand how this could happen, but fortunately it did and the mistake resulted in one of the best sundowners ever invented. 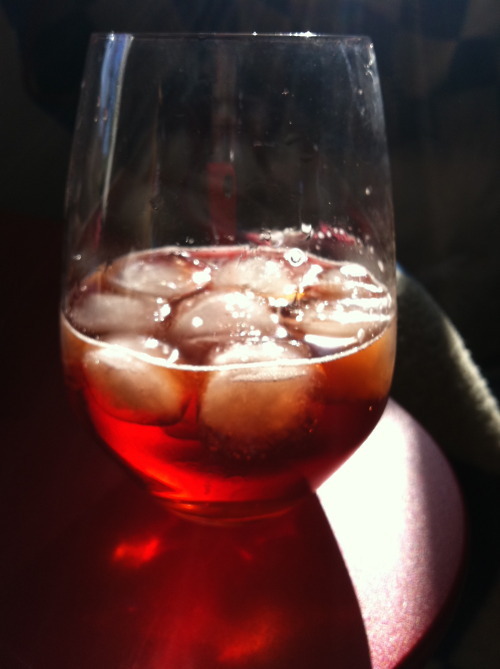 Fill a low ball glass with ice, add the Campari and vermouth and top up with the sparkling wine. Add a burnt orange twist for a garnish. This is one of my favorites - despite it's deceptive girlish color it has a real kick from the gin. Where it came from no one knows and some recipes contains no Creme De Violette - probably because it is pretty hard to get. Whatever the origin to me it is clearly a tribute to that time in the history of flying when it was comfortable and luxurious, before the advent of "naked" airport scanners, stale peanuts and leg cramps. For a clean and crisp look - I got wiser since this picture was taken - stir this cocktail with plenty of ice and then strain it into a martini glass or a cocktail coupe. As with so many cocktails the origins of the Negroni is not clear. I personally like the one, where count Camillo Negroni walks into Caffe Casoni in Florance and after a long and hard day of doing whatever Italians counts did right after the first world war askes to have his ususal apertif The Americano spiked with gin. I can see that scene in my minds eye, he would be wearing a eggshell colored three piece suite much like Gustav von Aschenbach in Death in Venice. 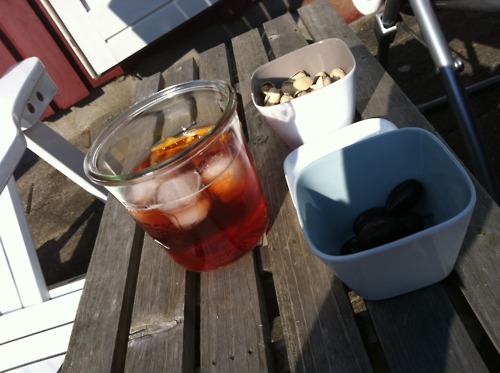 And that would wonderfully off set the amazing color of the Negroni. Pour the ingredients in a low ball glass, add ice and stir until drink is chilled. Can be served with a lemon twist and be aware that it is a powerful aperitif - it will in other words make you powerfully hungry. Put on your finest hat, and your best outfit and go stand in the sun. Time to behave like a proper lady and to take some southern comfort from the heat of the day. But it works just as well on a sunny day here in the high north, and wearing a hat does wonders for red heads like me. 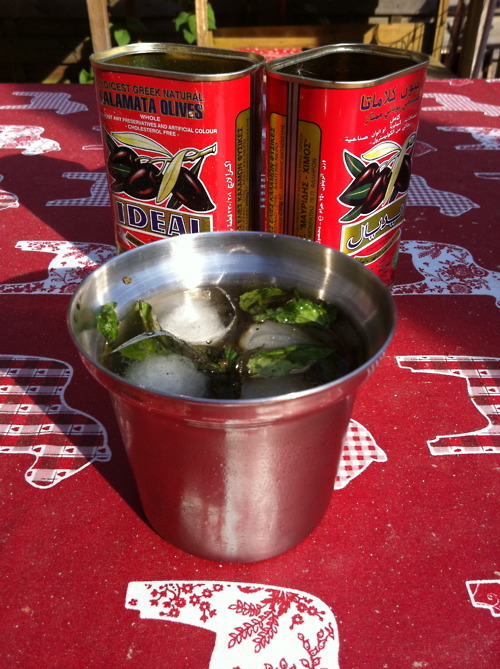 In the bottom of your best silver cup muddle the mint and the sugar, then add a mountail of crushed ice and the bourbon. 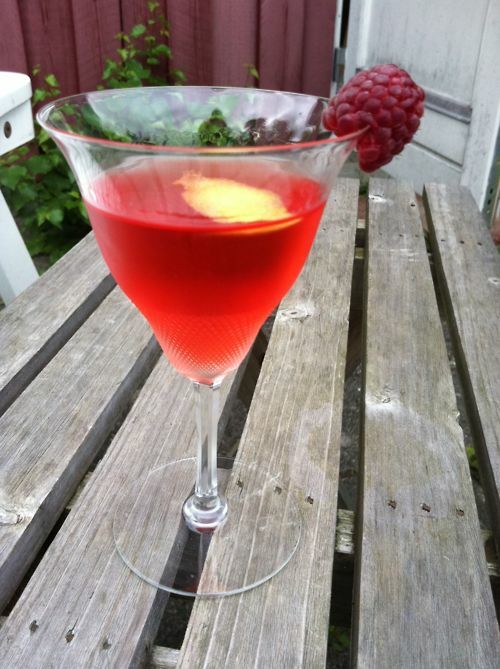 On a summers day when another hand full of ripe raspberries glowed red at me from my plant and I was out off eggs for a Clover Club Cocktail, I came up with this twist on the Tom Collins. In the bottom of a shaker muddle the raspberry, the sugar end the lemon juice. Add gin and ice and shake for a while, then strain into collins glass and top off with seltzers. 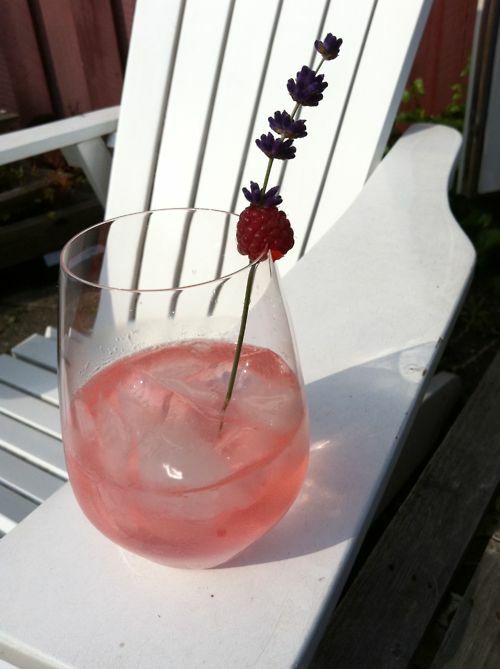 Garnish with a sprig of lavender and a raspberry.